Our many nutritional products can enhance your health! Metagenic formulas are scientific blends of nutrients. 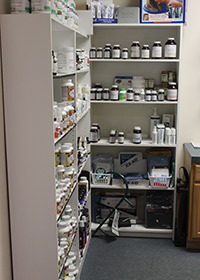 With over 400 formulas to choose from, you can add to your wellness or pain management plan. Metagenics also offers a variety of lifestyle and medical food programs that are scientifically developed and clinically tested. And best of all, they provide easy-to-follow materials. Standard Process products are the best source of “whole food” supplements. If we don’t have it in stock we can have it here in a few days. We carry a wide-variety of CORE PRODUCT pillows to compliment our mission to care for your entire spine. Whether it’s Tri-Core, Sitback Rest (Lumbar Support Cushion), Slim Rest (Thin Profile Backrest), Leg Spacers. We also carry THERAPEUTICA Pillows – ‘The Ultimate Sleeping Pillow’. These pillows offer neck support while sleeping in a variety of positions. We carry ‘spinal pelvic stabilizers’ by FOOT LEVELERS. We will measure your foot using a state of the art computer foot scan and order the perfect stabilizer custom built for you. MojoFeet premium insoles are a budget friendly alternative to the custom fit orthotics. These insoles come in a variety of sizes to fit your every need. Contact us today or stop in to purchase our full line of products.